Smith’s Sanitary has been offering exceptional septic pump services in York PA area since 1959. During this time, the company has hired and retained some of the most talented workers and gotten to know the residents on a personal basis due to regular interaction. Septic tank systems are a must-have in homes in the area and so having a company that deals exclusively with them is a relief. Most people don’t give much thought to their septic tanks as they are hidden out of site.it is easy to completely forget about them until you are unfortunate enough to have to deal with a backed-up drain field. It doesn’t have to get that far as long as you keep an eye on the system and also keep us on your dial. Septic tanks are not too complicated. They hold all the waste water from a household and carefully disseminate it into the ground. As long as they are cared for regularly, they will work like clockwork. Usually, all the water that collects into the septic tank through underground pipes is mixed in one large compartment where it stays until bacteria in the tank start working on it. During separation, thicker substances will sink to the bottom of the tank and settle there – called sludge – while the lighter organic material will float to the top. Here, it will be let out of the tank into the drain field, also called the absorption area. While here, it will go into the soil surrounding it to fertilize the area. You may notice that the area around the drain field is usually greener than surrounding areas. Sludge is supposed to stay at the bottom and occupy not more than 30% of the septic tank. A change in this level will call for pumping before matters get out of hand. A typical homestead will take two to three years before filling the septic tank – or before the level of sludge gets too high. After this time, you will need to call in a professional to pump the tank. Failing to pump a septic tank results in a number of things. Some of the solid particles in the sludge start to float to the top and get carried into the drain field together with effluent. Here, they will block the normal absorption of waste water and result in backed-up drainage. It could also cost you lots of money replacing things and pumping air into the drain field. Are you Due for Septic Tank Pumping? Time is up – if it has been three years since the last pump session, then it is due. Too lush around the absorption area – while this area is usually greener, thanks to fertilization, it should catch your attention if it us too green and lush. There could be extra fertilizer coming from down under. A backed-up drain field – most telling. Stench coming from the absorption area – another most telling sign. Higher levels of chemicals in your water – this is quite dangerous as it means the mess has infiltrated the underground water and could be exposing your family to harm. The solution to this is having a professional company like Smith’s Sanitary come on over and pump the sludge out. Why choose us? After being in the business for over 50 years, you can be sure we know our thing. 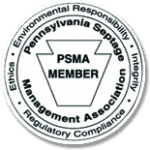 The locals in York PA trust us with their septic systems and have turned us into a household name. We are never too far. Just call us and we will be in your residence in the time agreed upon. You shouldn’t have to wait for too long to have potentially toxic material cleared. If you need septic pump services in York PA, do not hesitate to contact us for more information.